A new anti-Brexit campaign, aims to highlight the UK government’s neglect of young people’s views on Europe - and to mobilise 18-25-year-olds to demand they are heard. Over the next few months, Brexit negotiations will play an enormous part in determining how early adulthood unfolds for many 16-25-year-olds in Britain. The repercussions of Brexit cannot be minimised or overlooked. Brexit affects everything, from the big things — will we be able to study cheaply in Europe? Will we have a say on how the bloc should develop? — to the smaller things — will we be entitled to free interrail passes? Will we be able to watch YouTube videos in Germany using our mobile phone data? — to the more abstract — will we live in a country with a national ethos that matches our values? By this time next year we will probably know the answers. Right now, it’s about time that the 75% of 18-24-year-olds in this country who voted to stay in demand to be heard. 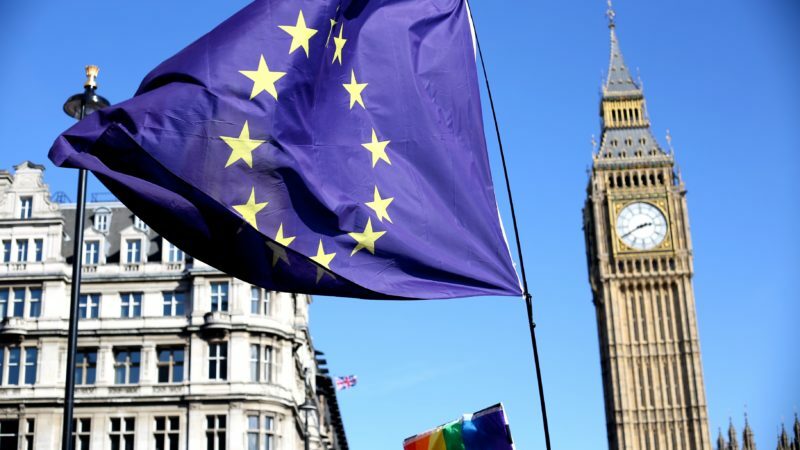 That’s why Young European Movement UK, Britain’s oldest pro-European youth organisation, has this week launched a new anti-Brexit campaign called “The 75 Percent”, which points to the UK government’s neglect of young people’s views on Europe. The 75 Percent calls on politicians to recognise that the vast majority of young people are being sidelined. Brexit is not sustainable policy. Committing the country to a decision that is unacceptable to those set to live with it for the longest would set off a nationwide identity crisis in the not-so-distant future. Continued membership of the EU is the only way to put our minds at ease and to ensure that the answer to all of the above questions is yes. One day after the launch of The 75 Percent campaign, it already enjoys the support of major pro-European organisations such as European Movement UK, Scientists for EU and Britain for Europe. Vince Cable of the Liberal Democrats was the first major politician to come out in support of the campaign. In the ongoing Brexit debate, a plethora of arguments has been made. Young people’s futures have been touched upon, but they have not been discussed loudly enough for those in power to truly listen. We only have a few months to change that. Young people in Britain have no sense of ownership of Brexit. At a time when Brexit permeates all aspects of the public debate in the UK, this will also mean that young people’s sense of ownership of ‘Project United Kingdom’ risks deteriorating. In 2018, it is the young people of this country who want to take back control. This is what The 75 Percent have set out to do. Juuso Järviniemi is president of the Young European Movement. He tweets here and at The 75 Percent. We VOTED for this. Its a VOTE. We are Out, accept it. Why should ‘young’ people be any different to any other demographic. we voted to leave the unelected EU. we are leaving. respect the decision and get over it. I voted remain, because I was 65 years old, at the time. I could not accept that I had the right to play tom-fool with the younger generation’s better tomorrow so that I could have a better yesterday. You start with the assumption that Brexit will be bad for the future of the country. I disagree, as do many others. That’s why we had a vote. Despite the relentless pro EU propaganda and project fear from Cameron and Osborne, Clegg, Blair, The Times, Mirror, Guardian and Independent, the BBC, the CBI, Carney, only a small proportion of young people voted. You can take horse to water. In another 40 years, when the next referendum is held, they’ll be older and wiser and more likely to vote. Jonathan, the relentless pro-EU propaganda ran for about three months before the referendum. The relentless anti-EU propaganda had been running for at least 40 years. It’s hardly surprising therefore that older voters, who had been subjected to it longest, voted leave. Youngsters who hadn’t had it drummed into them for decades voted remain. Over 60% of them voted in fact, so not really a small proportion. So because a majority of 16-24 year olds want to stay in the EU, we should ignore the wishes of the majority of people who voted in the referendum? Righto. As I have said before on this site, the only democratic way to sort the issue out is to hold another referendum now that the public can see what it will truly mean. I think that many more youngsters would be concerned enough to go out and vote for what is in effect their futures. Strong politics does not mean whinging and then walking away, it means staying and trying to change some of the things that are not in the peoples best interest.